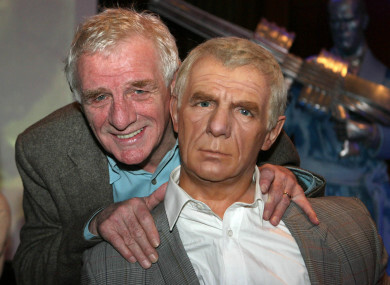 Dunphy pictured with a waxwork of himself in 2009. EAMON DUNPHY HAS confirmed that he is leaving RTÉ. “Two years ago, I decided not to renew my contract with RTÉ Sport. At the time, they prevailed upon me to stay and, in fact, offered me a rise, a small one, to do so. However, before the World Cup I told them this time, I would be leaving. I intend to focus on my podcast The Stand which is flourishing and has had over 2.3 million listens since we started. That’s where my energy will now be devoted. Dunphy’s time with the national broadcaster is best known for his football punditry, during which he often provoked discussion both in the studio and among the audience at home. His controversial and abrasive style led him to move beyond sports punditry and into current affairs where he presented numerous radio programmes. Notably, he was the first host of Today FM’s The Last Word programme which remains on the air. Dunphy also had a short-lived period as a chat show host when he presented The Dunphy Show on TV3, which aired in opposition to RTÉ’s The Late Late Show. Throughout this period, Dunphy remained as a panellist on RTÉ and the broadcaster this afternoon thanked him for his contributions. We would like to thank Eamon for the immense contribution he has made to our sporting coverage across four decades. Email “Eamon Dunphy is leaving RTÉ”. Feedback on “Eamon Dunphy is leaving RTÉ”.